Back from vacation! 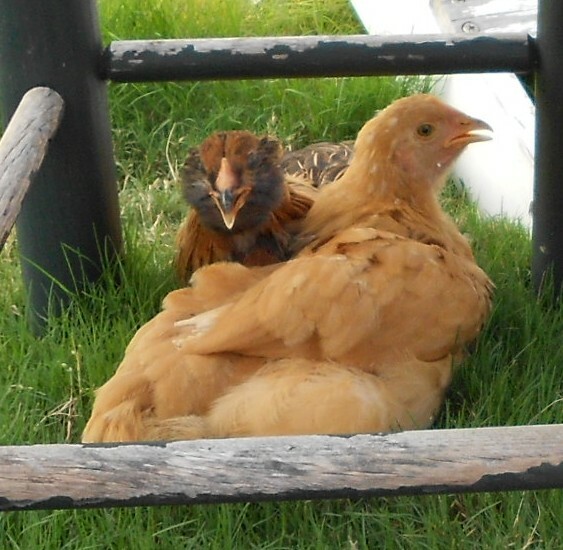 My girls had a great weekend with their chicken-sitters, Dennis & Tama. Rosie has developed a bit of a crush on Dennis. She even jumped in his lap! This is a far cry from the days when she ran from him and his scary red jacket (Happy Mother’s Day, May 8th). Rosie has also moved down in the pecking order. She seems to have been replaced by Daisy as second in command. She is still the most skittish and hard to catch. She’s also not good at taking treats from your hand. Usually it’s because Violet intervenes, but sometimes even when there’s no competition, she is too shy or afraid to grab a grape, raisin or apple slice from human fingers. She is the last one up the ladder at night, and the last down in the morning. 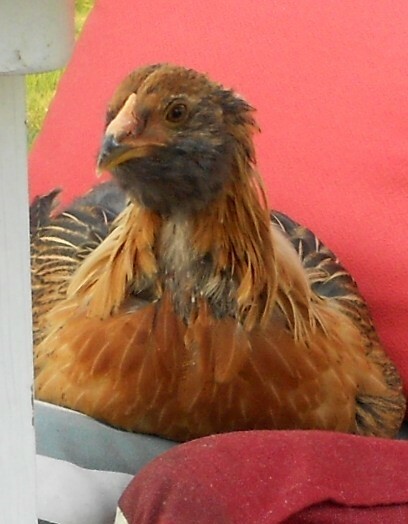 She is however, becoming one of the most interesting looking chickens on the block. (There are only three but still…) She resembles our country’s 8th president (look it up) with her weird, fluffy mutton chops. 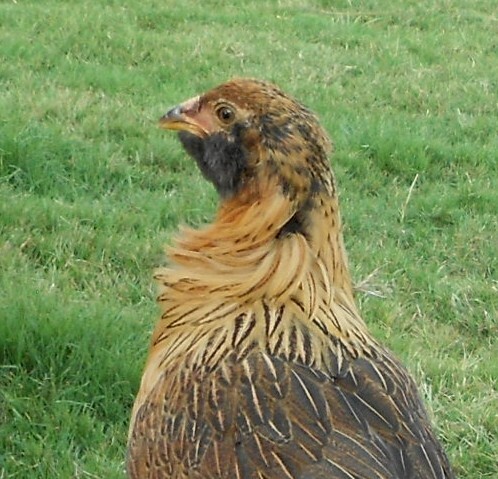 She has a beautiful “mane” around her neck with long flowing golden feathers. Her feet are distinctly green and she’s developing Ed Asner eyebrows, (sorry Ed). Her multi-colored feathers are exotic and elegant! 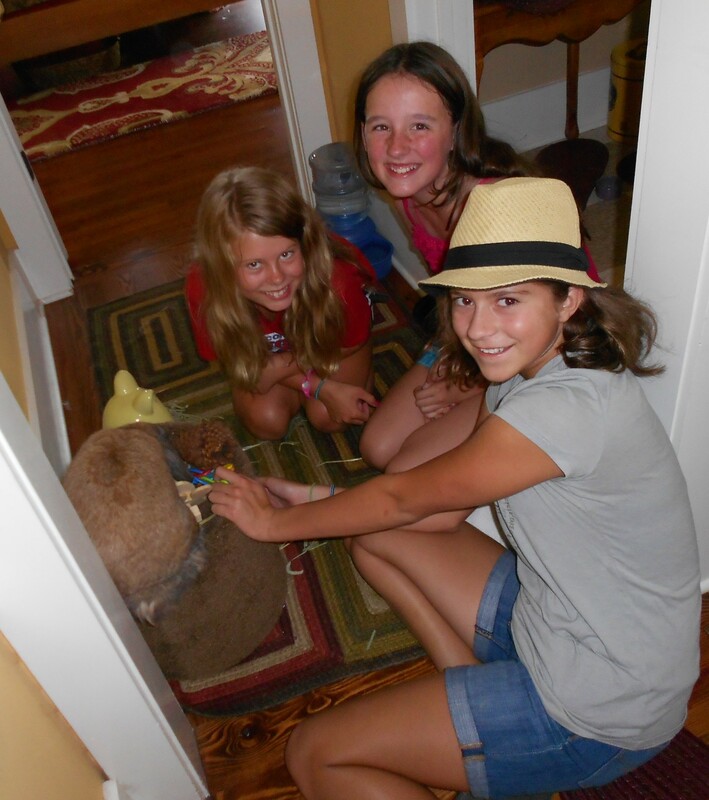 Three neighborhood girls stopped by last week to play with the chickens. 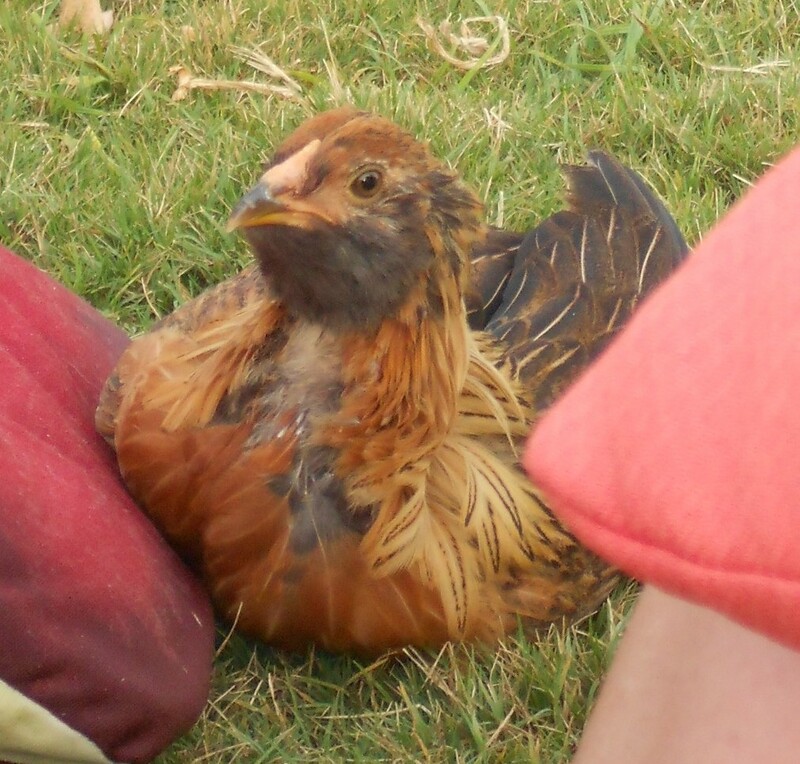 One little expert reached down and scooped Daisy up in her arms like she’d been wrangling chickens all her young life. 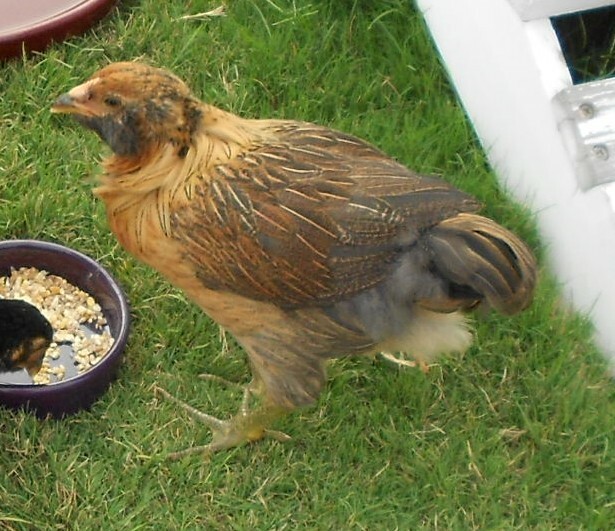 She informed me that she raises banty hens. 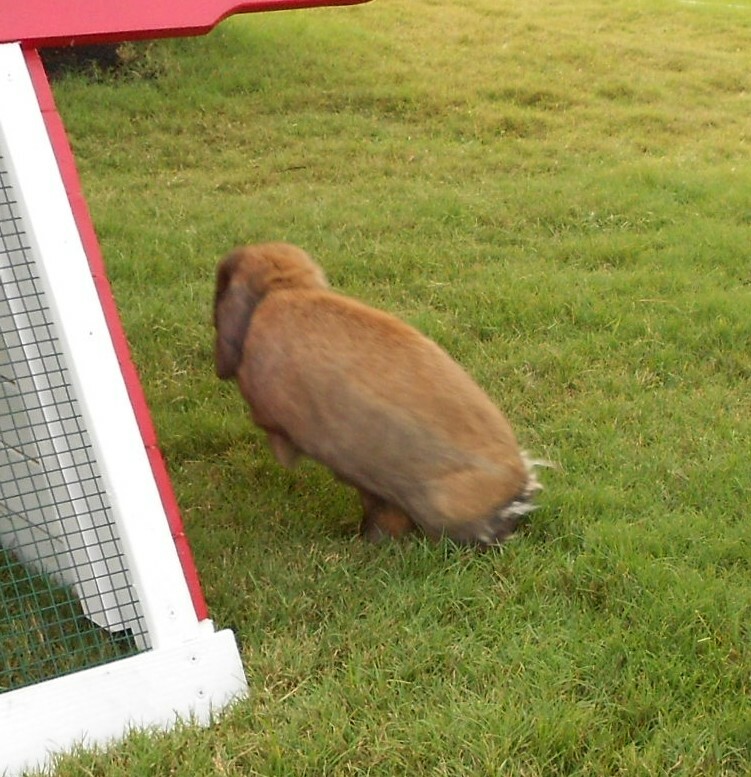 Later they went indoors to give Buster some bunny love. He’s a bit jealous that he’s been replaced as the “unusual animal” in the Burlingame household. Never fear Buster. You still da Man! I like to throw in a little American History along with my chicken knowledge. Good job Renee!